Agathe was a sparkling, vibrant sprite. The author, her father has written a lovely tribute that captures her short life. Agathe’s Summer meant two things to me. First, she died in the summer of 2007, and her dad shares with us her bravery during the end stage of her cystic fibrosis. And then, there is summer as a season of life. Agathe had just begun to emerge from the spring season of childhood, to fully embrace the summer of her life. Her father shares his love of his daughter, a young women who has retained the joy and laughter of her youth, which she has paired with her focus and determination to live her life as n adult. She fights her disease while going to college, having a relationship with her boy friend, and moving in to her own apartment. The author switches between the story of the last three weeks of her life, with memories back to early times. This was a bit confusing to read, but it gives us a fuller picture of Agathe. We learn that her relationship with her father and her sisters and mother was the center of her world. We learn that she loved music, loved to dance, and especially loved summers at the beach. It’s always hard to read a story where we know the sad ending, but it was inspiring and encouraging to learn of this strong young woman and the father and family that loved her. 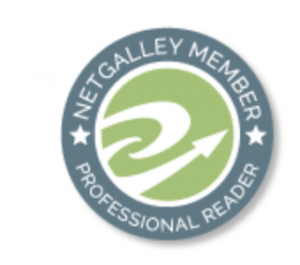 Many thanks to Netgalley and the publisher for the ARC, and this is my honest review.